COURSE IS NOW USATF CERTIFIED! Scroll down for directions, course maps and parking information. Walk or run this 2k course for fun. The mustangs of Operation Wild Horse will walk with you. Sponsors: Baxter and Woodman Engineers, TOBG Engraving, Precision Body Works, Monster Energy Company, Home State Bank, Peacock Graphics, Mid-American Elevator, State Farm Insurance, Pitel Septic, Athletico, Woodstock Farm and Lawn, The Running Depot. To join our sponsors, call 815-337-3101. Part of proceeds will support Operation Wild Horse, a program under Veterans R&R, a 501©(3) providing equine therapy services to Active Duty Military and Veterans utilizing wild mustangs from Bureau of Land Management. 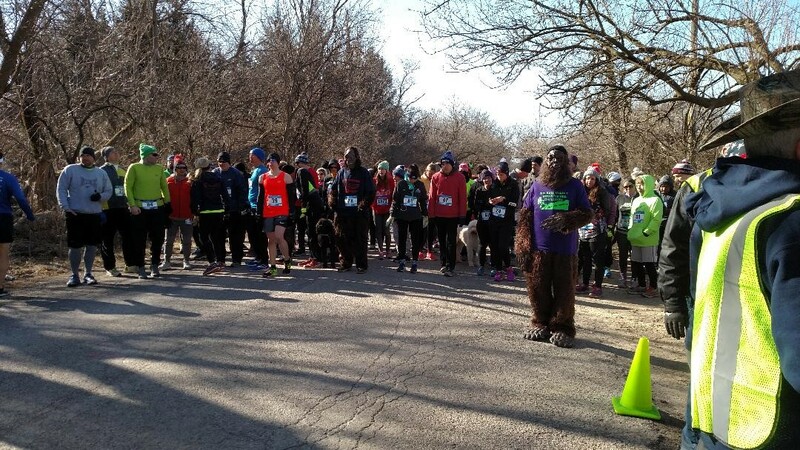 The race start and finish line will be located at the Bull Valley Equestrian Center, headquarters of Operation Wild Horse, 605 S. Valley Hill Rd., Bull Valley, IL 60098. You are invited to stay after the race and Meet the Mustangs. 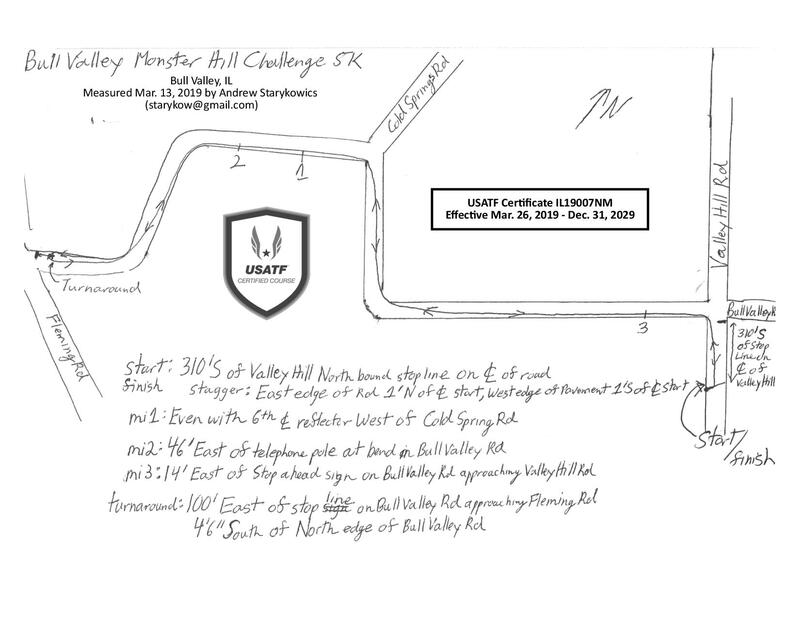 The race starts and ends at the corner of Bull Valley Road and Valley Hill Road. Bull Valley Road is narrow and winding, and serves as a major pass-through route between surrounding cities. It will only be closed from 8:00 am to 10:00 am. For your safety, if you are not able to complete the 5k distance between 9:00 and 10:00 am, we ask that you choose the Walk/Run instead. Volunteers arrive at 7:00 a.m. and park at the stable. Early arriving participants and spectators can park along Valley Hill Road north of the intersection of Bull Valley Road. Don’t block the intersection. 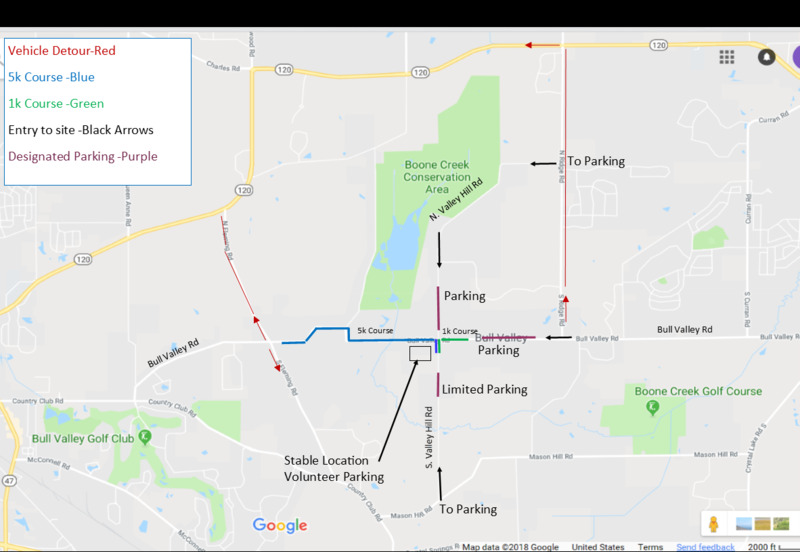 Police and Volunteers will be routing traffic to the detour, so identify yourself as a race participant, volunteer or spectator when you come to the barriers at one of the entry points below. See attached map. 1. Enter Valley Hill Road from Mason Hill Road and park along the road before you get to the barricades. 2. Enter Valley Hill Road from Ridge Road, follow Valley Hill Road south and park along the road north of the intersection with Bull Valley Road, before the barricades. 3. Enter Bull Valley Road at Ridge Road, heading west and park along Bull Valley Road before the barricade that marks the turn-around for the 1k. Please park parallel along the roads. Do not block the roads or resident driveways. You will be ticketed. We strongly encourage car-pooling or drop-off and pick-up by a friend or family member prior to 8:00.At approximately 10:00 a.m. the barricades will be moved and the road reopened. You may leave in any safe direction. If you are staying to Visit the Mustangs or participate in activities after the run, please move your car off the roads to the stable grounds. 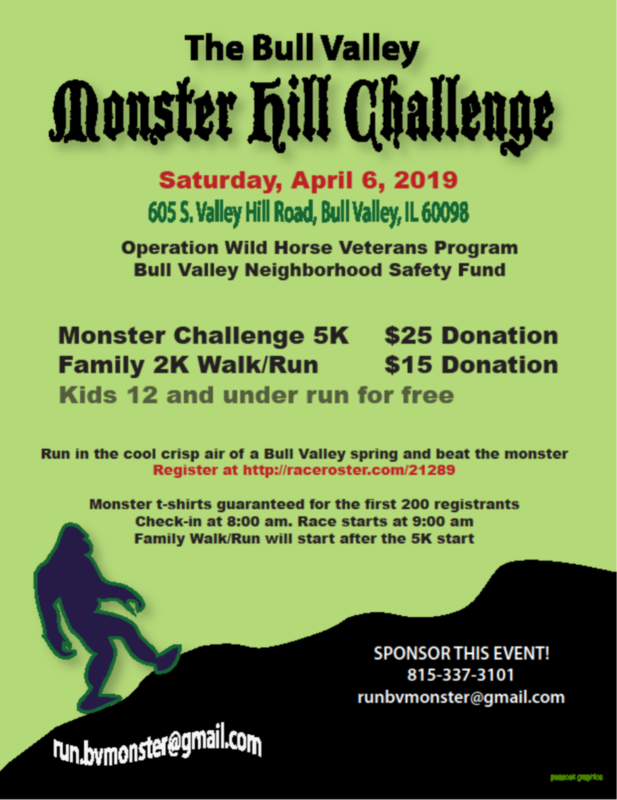 Please call 815-337-3101 or email run.bvmonster@gmail.com for questions or special needs parking. If you are parked a distance from the site, you may want to pick up your goody bag after the race, rather than carry it around or walk back to your vehicle to store it. We will be offering a gear check booth this year. Please don’t feed or touch the horses without the handler’s permission. The OWH Mustangs will be walking behind the families in the Walk/Run. These horses are gentle and well behaved, but they are horses and can be unpredictable. Do not walk up behind them. Approach the handler first.